The 2017 Tri-Glide® Ultra is the most fully loaded model in the Harley-Davidson® Trike lineup. 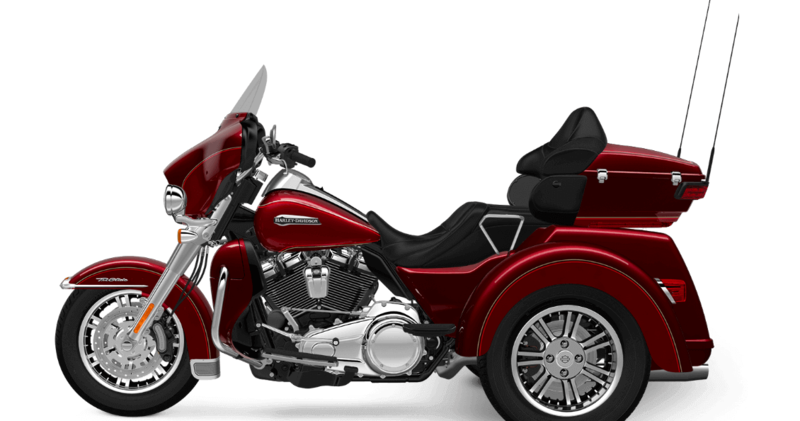 This touring three-wheeler provides confidence, comfort, and control, so you can take on any ride you’ve got in mind. It’s equipped with all the latest touring technologies and features to keep you connected and in control, and a new engine provides more power and performance than ever before. 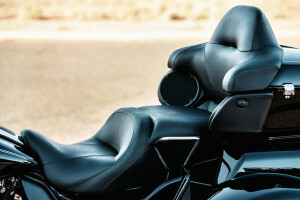 Find the Tri-Glide® Ultra at Avalanche Harley-Davidson® today. With three wheels you’ve got tons of confidence and plenty of control. The Tri Glide® Ultra is ready for any adventure. 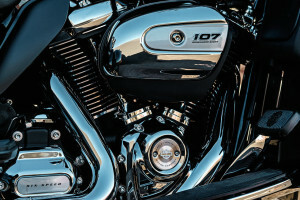 All-New Milwaukee-Eight™ 107 Engine: This all-new engine comes from a long line of iconic V-Twins that have powered Harley-Davidson® motorcycles. 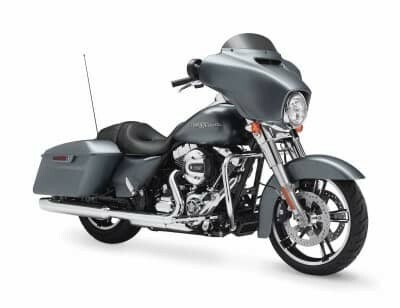 As the most advanced Harley-Davidson® engine ever conceived, it offers more power, more performance, cooler operation, a quieter and smoother ride, and even more charging power for accessories, making it the perfect engine for the Tri-Glide® Ultra. Milwaukee-Eight™ 107 Engine Overview: The new engine that powers the Tri-Glide® Ultra uses larger displacement, four valve heads, and a high compression ratio. That delivers more power and torque for superior acceleration. 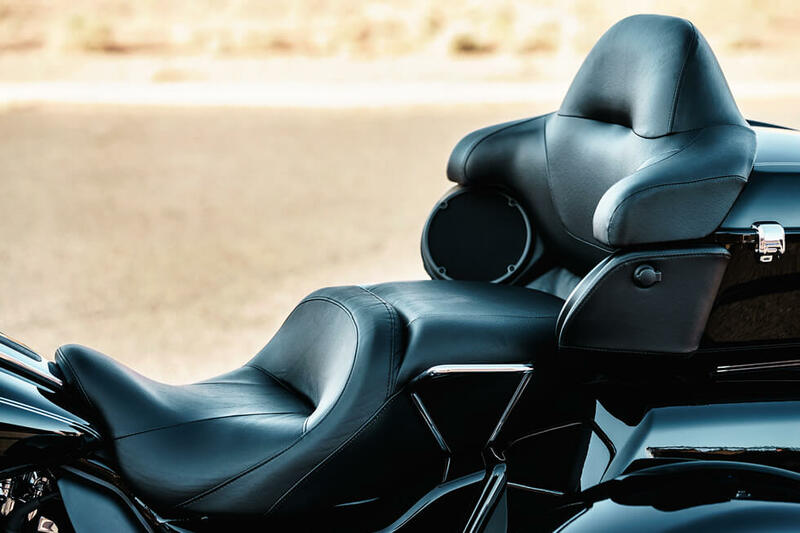 Improved heat management and fit delivers better passenger and rider comfort, and the new engine even offers a richer exhaust note and lower vibration. You’ll appreciate that while cruising down East Colfax in Aurora. Daymaker™ LED Headlamp and LED Fog Lamp: 2,136 lumens are enough to light up the darkest roads on the darkest nights. That’s why this LED headlamp is called the Daymaker™. 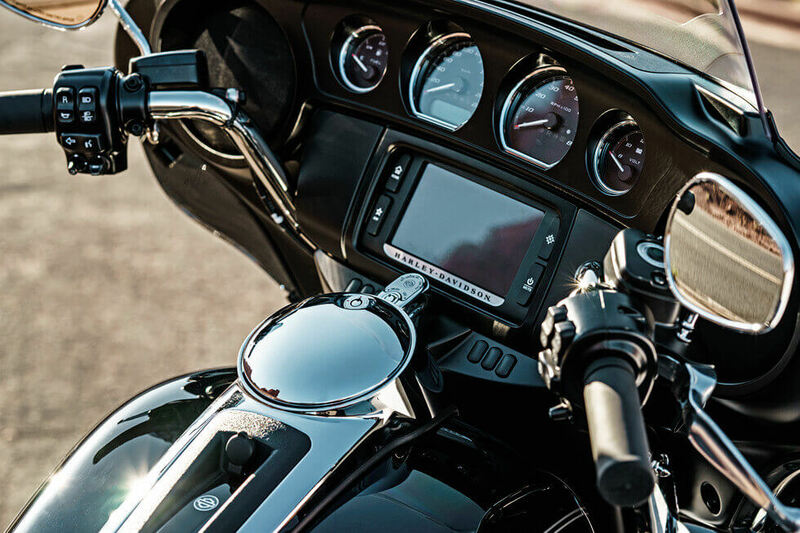 H-D® Smart Security System: This optional system adds peace of mind, with a wireless keyfob that activates the security system when you leave the bike and deactivates it when you approach. Dual Disc Front and Rear Brakes: You’ve got two discs up front and two discs out back to deliver the stopping power that you need on three wheels. Linked Brakes: The brakes work together to provide confident, predictable stopping power. 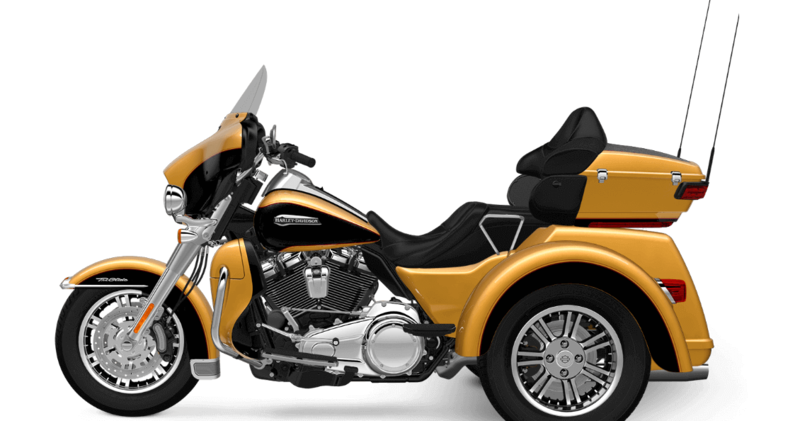 Three Wheel Frame Design: You won’t sacrifice the iconic ride of a Harley-Davidson® when you ride the Tri Glide®. It’s designed to provide confident, capable handling even when unpredictable weather hits Lakewood, CO.
Ergonomically Designed Hand Controls: Let your hands naturally find the controls, and you’ll see that the Tri Glide® is designed around all day comfort. Plus, you’ve got cruise control, infotainment features, blinkers, and more, all on the hand grips. Steering Head and Forks: With bigger forks up front at 49mm per leg, you’ve got more confidence and more control in the corners, yet with retuned damping, you don’t sacrifice any comfort. When you’re spending long days out on the road, you need to stay connected. That’s where the motorcycle specific infotainment system comes in. Voice Recognition and Bluetooth: You need to focus on the road when you’re riding, but you may also want to take advantage of communication or entertainment features. That’s where Bluetooth and voice commands come in. 5.25-inch Front and Rear Speakers: Both rider and passenger can enjoy the tunes, thanks to big, clear speakers mounted front and rear. Jukebox USB Port: You can easily recharge your smartphone or other devices, and listen to audio stored there as well. The Boom!™ Box 6.5GT Radio: You’ve got more volume, less distortion, and the unique speed sensitive volume control, so it’s easy to enjoy your own soundtrack out on the road. Nothing feels better than the wind in your hair when you’re riding a Harley-Davidson®. That applies to both two and three-wheeled models. Wide Set Handlebar: With a wide set handlebar, you get to spread your arms, and relax. This position makes riding all day not only possible but a pleasure. Foot Operated Parking Brake: It’s simple to activate the parking brake so that the Tri Glide® won’t move an inch when you don’t want it to. Tour-Pak® Luggage Carrier: This spacious cargo area is secure, weatherproof, and convenient. It will even fit two full face helmets with ease. 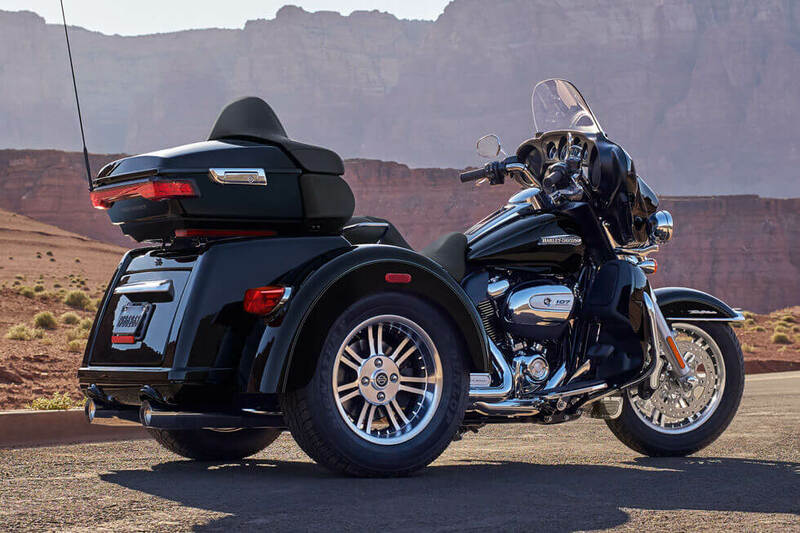 Electric Reverse with Handlebar Controls: This smart feature makes it a breeze to back the Tri Glide® into or out of parking spots. Mid Frame Air Deflectors: Designed to deflect heat from the engine, these air deflectors help direct heat away from your legs and body to keep you cool. Accessory Connector: This easily accessible port gives you the ability to connect features like heated grips and seat, and much more. 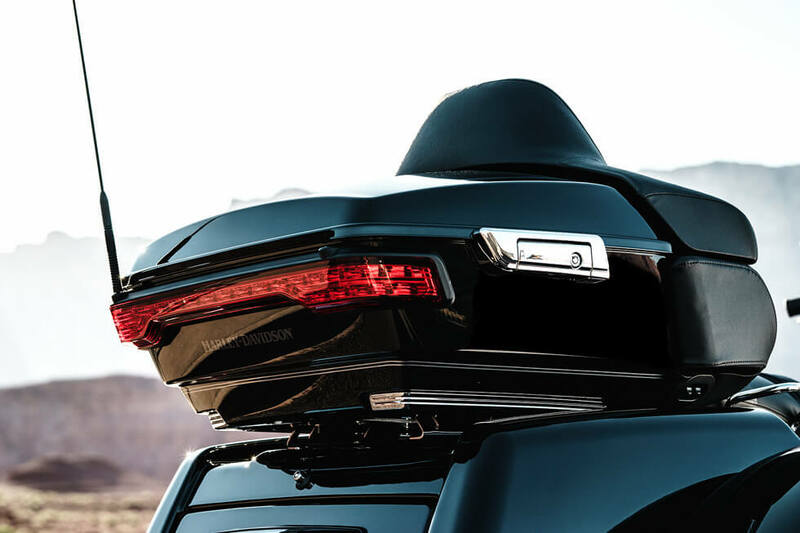 Trunk and King Tour-Pak® Storage: With a total cargo capacity of 6.7 cubic feet and up to 80 pounds, the Tri Glide® Ultra model puts the “haul” in long haul. Back and Arm Rests: Keep everyone happy out on the road, with a supportive back and arm rest designed to cushion your passenger. One Touch Fuel Door: The fuel door flips open with the touch of a button. Cruise Control: Set the cruise control, kick back, and enjoy the open road. 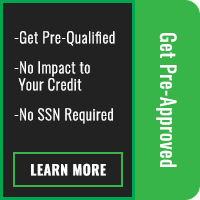 This helps you save fuel and your energy for when you really need it. Battery Charging Harness: You know you’d add a battery charging harness if it didn’t come standard, but it does, so you don’t have to. Full-Length Floor Boards: With full-length floor boards, you’ve got the space to stretch out, and with rubber isolated padding, you don’t have to feel every vibration from the freeway. One Touch Design: Everything that can be accomplished with a single touch is designed that way. It’s simple, and it makes your life easier. What’s not to like? Fair Design: Head buffeting can cause fatigue and generally be uncomfortable, and that’s why the Tri Glide® gets a smartly designed fairing to help reduce this phenomenon. It’s undeniable that one of the draws to Harley-Davidson® is classic, iconic styling. That applies to the Tri Glide® Ultra as much as any other model. Seamless Styling and Matching Paint: You’ve got paint matched fenders, fuel tank, and trunk. It’s a seamless style that looks good and works even better. 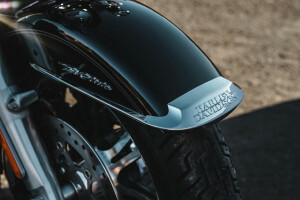 Tank and Fender Badges: Take a look at those gleaming Harley-Davidson® badges on the tank and fenders, and you’ll want to head out on the road ASAP. High Flow Airbox: You’ll probably notice this big slab of chrome on the side of the Tri Glide® first thing. It’s a beautiful piece, and it also helps direct air into the V-Twin to boost performance. 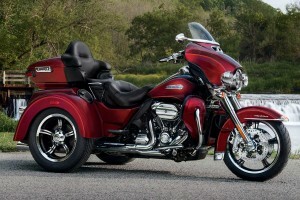 Pure Harley-Davidson® Styling: The new Milwaukee-Eight™ looks just as good as it sounds. It is an eye-catching centerpiece on the Tri-Glide® Ultra, with its brilliance chrome air filter cover and rocker covers, polished cooling fins, and black powder coated cylinders. Inner Fairing Design: You’ve got full access to all your important controls and information in the inner fairing of the Tri Glide® Ultra. From speedo to infotainment system, it’s all right where you want it. Bullet Turn Signals: A modern bike can still have classic features. Why mess with the beautiful chrome bullet turn signals when they do their job and look better than anything else? Black 7-Spoke Aluminum Wheels: These cast aluminum wheels look great and keep rolling mile after mile. Their light weight design helps improve acceleration, and the unique black accents add a custom look.